Sometimes I feel bad for pie. The actual food, not the number. As a side note, that number needs to calm it down with all its digits. Furthermore, what makes that number so special that it gets a delicious food named after it? Why isn’t 4.81963872961986476286481 called “cake”? Mathematicians reading this please don’t waste your incredible brilliance on me with the explanation. It’d be like explaining it to a brick wall. Any way, back to the wonderful food item pie. Once a year, Thanksgiving time to be exact, pie becomes a super star. However the other 364 days of the year, I feel like pie gets the shaft. Its outside is often plain, though lovely. People try to dress it up with accessories, like a leaf cut out, or an intricate lattice, but we know it’s still just crust. Yet the contents are always rich and delightful. The dessert you can stick with until the end because it’s never going to be too overwhelming, except with pure goodness. Sure it’s not cake. Cake is flashy. You can dress it up to be stunningly beautiful. It turns heads when it comes into a room and people stop in their tracks when someone mentions its name. Don’t get me wrong, I love cake when it’s done right. However, more often than not, the more amazing the outside, the more the inside is dry and uninteresting, or has a sour raspberry filling. Sure there’s bad pie. I’m not saying it’s a magical food that has never taken a turn down gross lane, but when you order pie your chances of receiving something great are pretty high. Plus pie isn’t just about fruit. 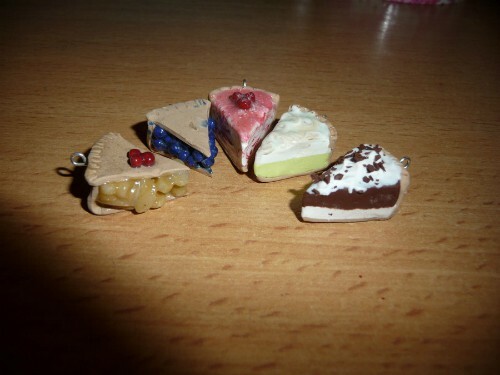 Chicken pot pie, pizza pie, Eskimo pie… OK I’m not convinced that’s pie, or food anyone should consume, but still great. So at the end of this month, when you are surrounded by that Apple, Blueberry, Pumpkin and Pecan pie – really see it. Don’t compare it to other desserts. Accept it for what it is. It’s wonderful inside and out. Remember to enjoy it all year because it deserves it. Plus, if your pie relationship is getting stale, get some ice cream and go to town. 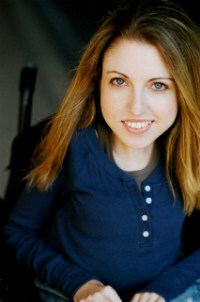 Shannon DeVido is an actress, comedian, singer, and writer. She has performed comedy around the country as a stand up comedian and improv with her longform teams, Hell on Wheels and Axis of Evil, on television (Law and Order: SVU), and Off-Broadway. An accomplished singer, she currently performs with her quirky, singer-songwriting duo, Useful Rooster. Finally, her popular Stare at Shannon, breaks the conventional image of disability through comedy.